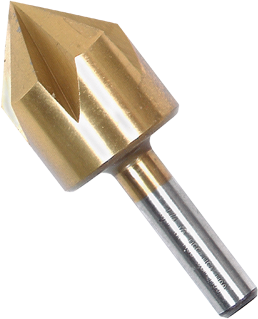 The Bosch line of countersinks are great for deburring and chamfering openings to pre-drilled holes. Great for electrical, plumbing and HVAC contractors. Bosch countersinks cut varied materials cleanly and accurately. With standard high-speed steel and super hard titanium-coated bits, these countersinks perform great in even the toughest materials.